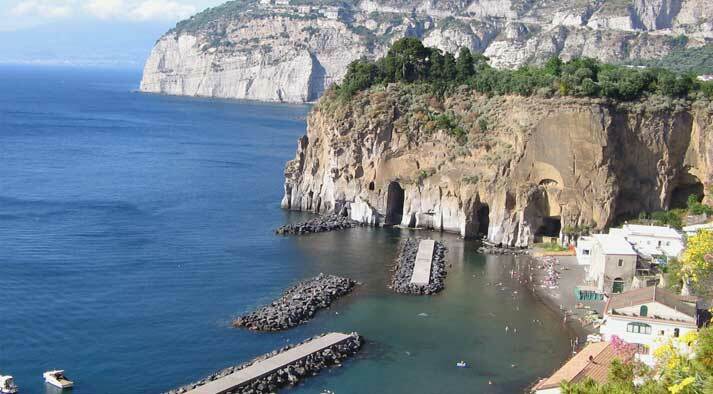 This beach is found in Piano di Sorrento, in the heart of the seaside village of Marina di Cassano, approximately 15mins from the centre of Sorrento. The colour of the houses and the array of boats along the shore render this seaside village unique in all of the Sorrentine Peninsula. The beaches, predominantly of volcanic sand, offer both establishments where you can hire deckchairs and sun beds as well as a free beach area area. From the numerous presence of boats, you are not able to swim in some places. There is also a restaurant and bar for those who wish to have lunch or something to drink on the beach. The beach is easily reachable with a car and is there is the availability of parking a few metres from the beach.